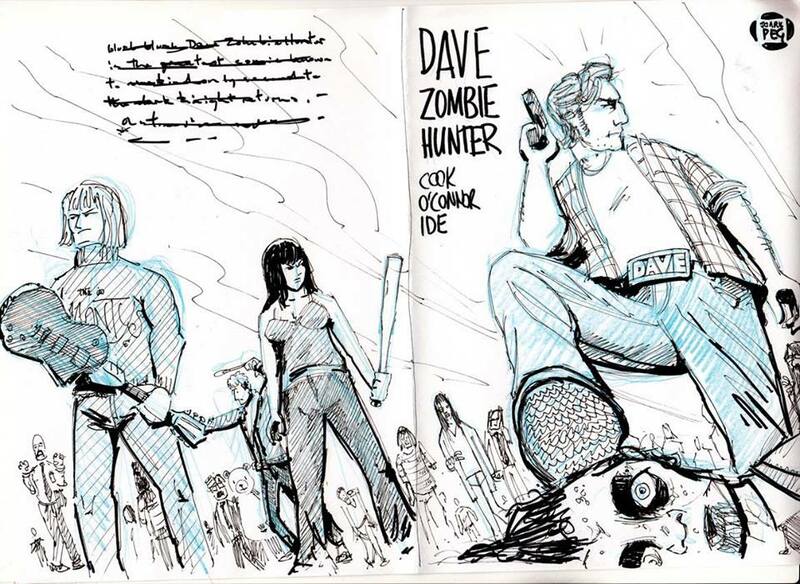 The cover design of Dave: Zombie Hunter has commenced. My work here is nearly done. The layout Stewart and I decided upon was chosen because it featured Dave on the cover and had the sort of swagger which matched the character. I’m going to have a bit of foreshortening fun :-/ with it, but the angle should make for an interesting cover.